An exquisitely crafted Tolkowsky diamond solitaire set on a beautiful 18ct white gold ring with sparkling diamond encrusted shoulders. 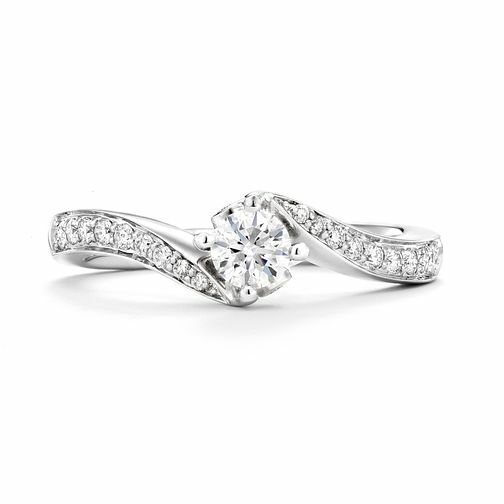 Totalling 1/3ct, each diamond is crafted using the innovative Tolkowsky formula in order to produce the finest quality diamonds with outstanding cut and clarity. Tolkowsky 18ct White Gold 1/3ct Diamond Ring is rated 5.0 out of 5 by 2. Rated 5 out of 5 by Anonymous from Perfect A stunning ring, that catches the light perfectly. The style and cut are a little different but still classical, with enough sparkle without being over the top. Looks and feels luxurious, couldn't have picked a nicer ring, I'm very lucky and my fiancee has excellent taste! Rated 5 out of 5 by Anonymous from Absolutely beautiful and timeless ring I was given this ring as an engagement ring, it really is beautiful and catches the light. I've had so many comments on it.